It has been a long time since I made an architectural pilgrimage. 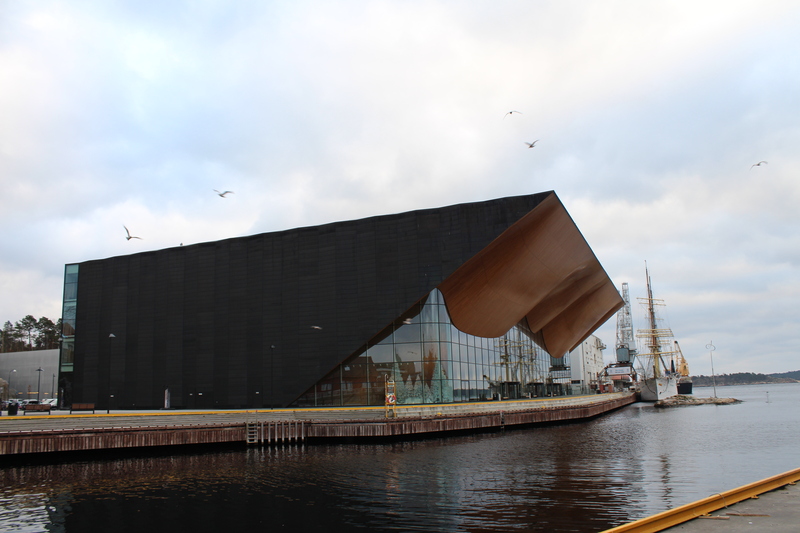 Last month I had the privilege of visiting the Kilden Theatre in Kristiansand, Norway by ALA Architects. The train journey from Oslo itself was full of magic and wonder. As we went through the wintry Norwegian woods, I felt like I was seeing Christmas imagery in real life for the first time. My inner child half-expected to see Santa and his reindeer flying past the train. The photographer in me found so many great scenes to capture from the moving train. At one point, the landscape seemed to turn black and white. The combination of the grey sky, the Nordic winter light, the snow and the dark green forests resulted in images that seem to be bereft of colour. The architect in me thought about all the wonderful sustainable forest that Scandinavian countries have to offer. As someone who recently entered the Guggenheim Helsinki competition, which asked that we consider Finnish timber seriously as one of the major materials in our proposal, it was a delight to be able to see the Scandinavian forest first hand. (The competition results are out, but it is still anonymous). When we reached Kilden, I was strangely relieved to find that it was not as perfect as it was in the pictures I had seen and at once excited to be able to breathe in the cold, salty air and feel the mythical quality of the place, accurately depicted in ALA’s rendering. The theatre belongs to its seaside context; next to a ship, surrounded by seagulls and lit up by the low winter sun when I saw it. The scene belongs at once to the zeitgeist and somehow also in Norse mythology. I spent some time looking up Norse myths, and depictions of Kraken seemed to have some of the same qualities. 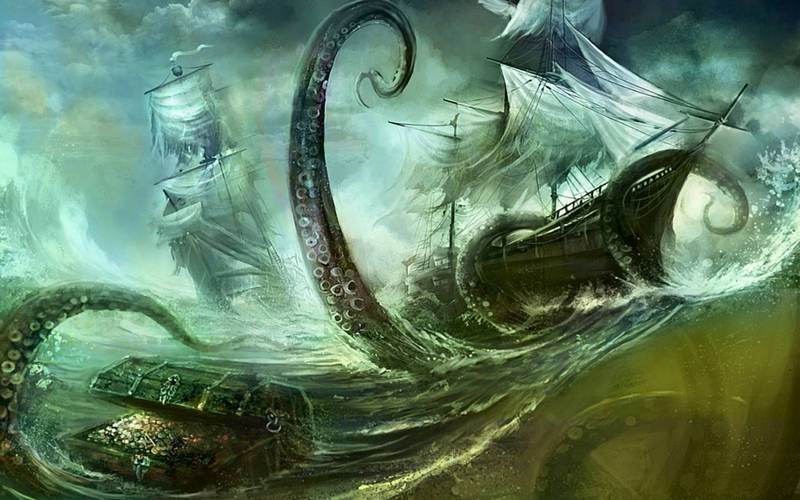 Kraken is a sea monster in Norse mythology, resembling a giant octopus or squid, and is believed to swallow humans, ships and even whales. Kilden’s wave-like structure swallows humans too, but not in a gruesome way. Its scale is overwhelming, yet ‘human’ and it welcomes visitors under its huge ‘canopy’. 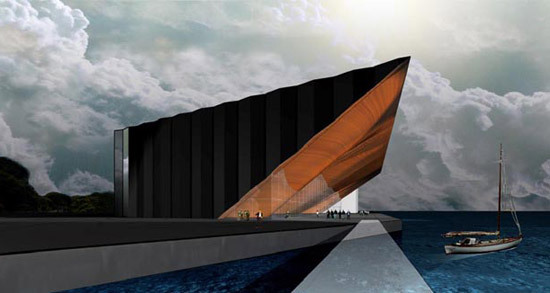 Kilden Theatre, like the Opera House in Norway by Snohetta, seems to have received rave reviews from the end users, both the performers and the audience. Both performing arts venues have challenged the notion of a ‘back-of-house’. The workshops where where sets and costumes are constructed, are visible to passersby and become secondary performance spaces. It works very well as a theatre, inside and out, and puts sustainability at the forefront of design. Pregnant with new ideas about architecture, the theatre’s wavy timber eaves/ceiling structure has a kind of ‘inner glow’, touched by the golden Nordic light and feels like it is part of a new wave of architecture.